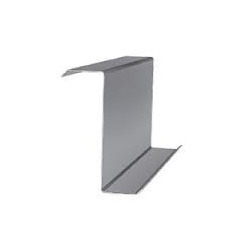 We are a leading Manufacturer of z purlin from Nagpur, India. We are offering extensive range of Z Purlin that is designed under the expert supervision of skilled professional engineers. These are widely appreciated for their veracity and are extensively used in large sized roofing railway platforms, workshops, factory sheds, go-downs and other industrial sheds.